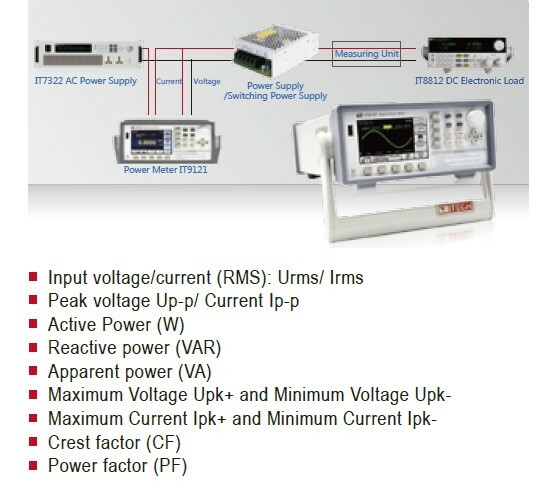 With an extended input measurement range from micro-amps to tens of amps plus hundreds of volts, the ITECH IT9121 Series Advanced Power Meters are the ideal power meters for standby power or Energy Star testing. 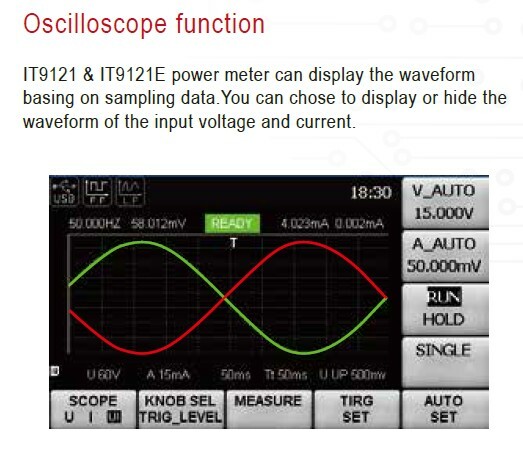 The IT9121 Series can provide the maximum input of 600Vrms and 20Arms and measurement bandwidth of 100kHZ, and can be easily used for measuring the voltage, current, power, frequency, harmonics and other parameters. 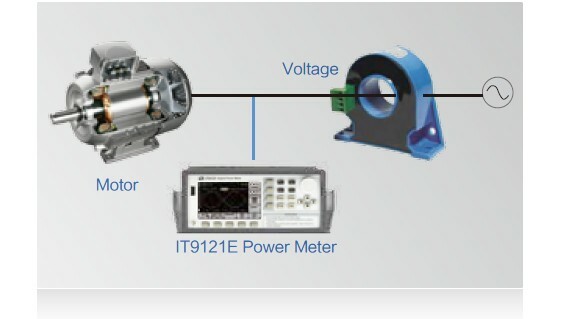 The IT9121 Series are composed of two models, namely the IT9121 and IT9121E. 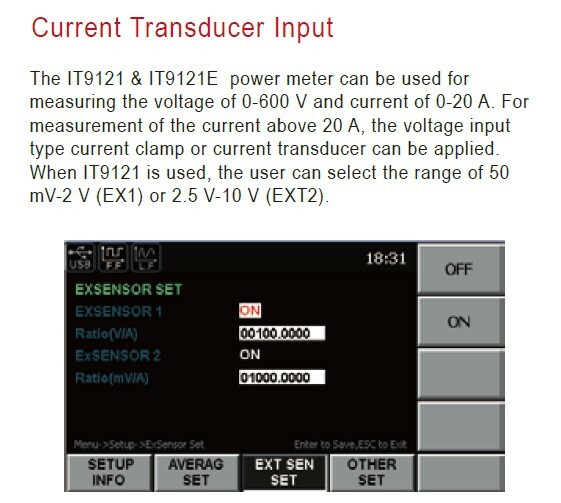 The only difference between IT9121 and IT9121E is that IT9121 supports the harmonic measurement function. 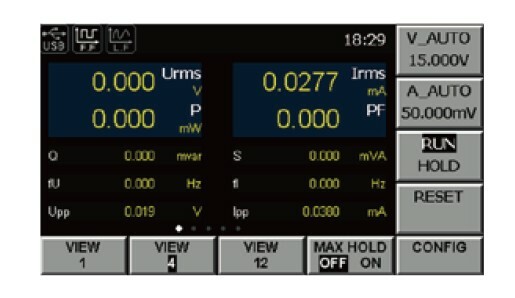 The standard configuration includes USB, GPIB, RS232 and LAN communication interfaces and also interfaces for USB-based peripheral devices. 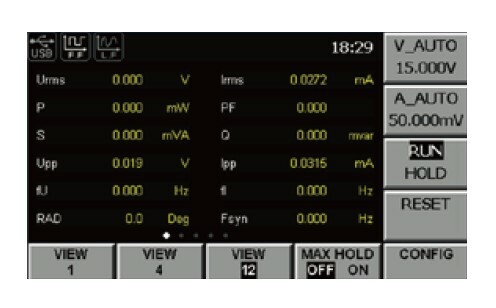 Users can save the measured parameters into the external storage medium. 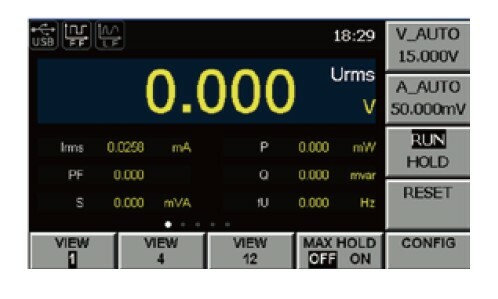 The base voltage and current accuracy is 0.1%. 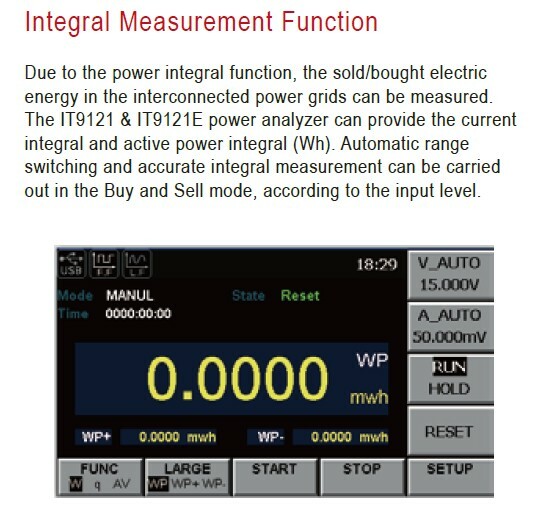 Moreover, the IT9121 Series have rich integrating functions, such as the active power and they are widely used in R&D, production line, quality assurance and maintenance center in test of motors, household appliances and UPS.